On the furthest western edge of Europe, on the western coast of Ireland, is a city called Galway. 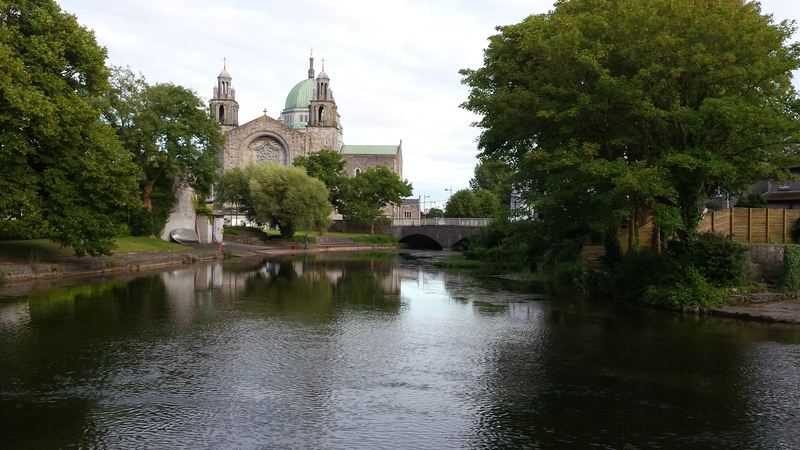 The River Corrib flows through the city into the Atlantic, and Galway is crisscrossed with bridges and waterways. Although it seems to be far-removed from most of European activity, an isolated region of an isolated country, Galway is exceptionally cosmopolitan, with roots as a trading network and a social junction during the seventeenth century. Galway merchants sailed to Italy with Irish wool, and returned with goods from the Mediterranean, including fine wines and art. Maritime commerce was, and still is, a central part of life here. Today, it reminds me of my hometown, Flagstaff. The National University of Ireland, Galway, brings in new students and faculty, and with them ideas, to the city. There is a flourishing art scene here, which includes the Galway Film Fleadh, the Arts Festival, and a farmer’s market every Saturday. But more like Flagstaff, it is a point between destinations. Flagstaff is on Route 66 and in addition sees about a hundred trains pass through each day, it is a stopping point for many people; similarly, Galway is a coastal trading city where travelers, ideas, cuisine, and cultures converge. Both cities are driven by university life and academic patronage, whose dispensation is evident in artistic displays, festivals, and even graffiti. In fact, I have seen more graffiti in Galway than my own town. Medium-sized, quirky communities can be found anywhere, I think. They act like cities and small towns at the same time. They are twilight cities on the edge of the new and the old. For a writer, these are the best places, because they tend to be the strangest, in my experience. Places like Boulder, Missoula, Flagstaff, and even Galway on the edge of the Atlantic, are in my opinion the most authentic, appealing communities in the world. 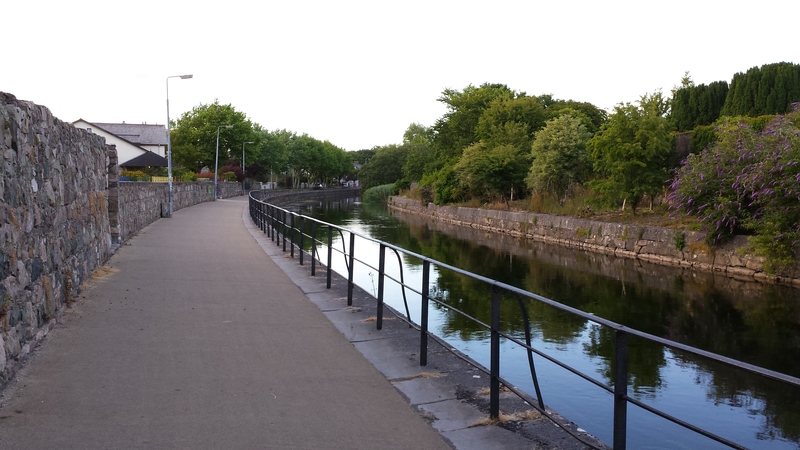 This entry was posted in History, Photography, Travel, Writing and tagged Community, Corrib, Galway, Galway Film Fleadh, Ireland, Travel on July 15, 2014 by keeneshort. My favorite city in Ireland! I definitely did not see enough of it. Great post! 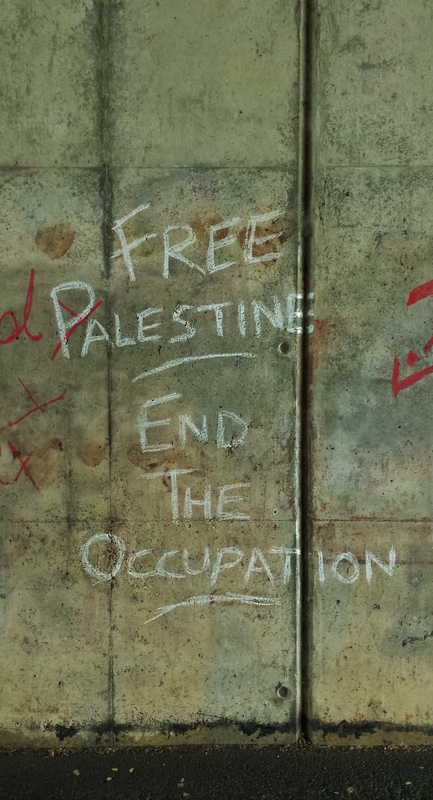 In Ireland, I’ve noticed a lot of support for Palestine, particularly during recent events, because many Irish identify with them as victims of a colonialism or a police state (from their perspective, at least). One of my professors described his childhood in Northern Ireland in the 1980s and how common it was to fight, abuse, or mock the police there, which I found unsettling but understood as a cultural difference; there’s a lot to take in. And thank you for reading, Dan. I’m glad you enjoyed it.